This is Japanese brand TOIN’s coffee cups and saucer, set of 2. The saucer is designed like a yummy donuts. 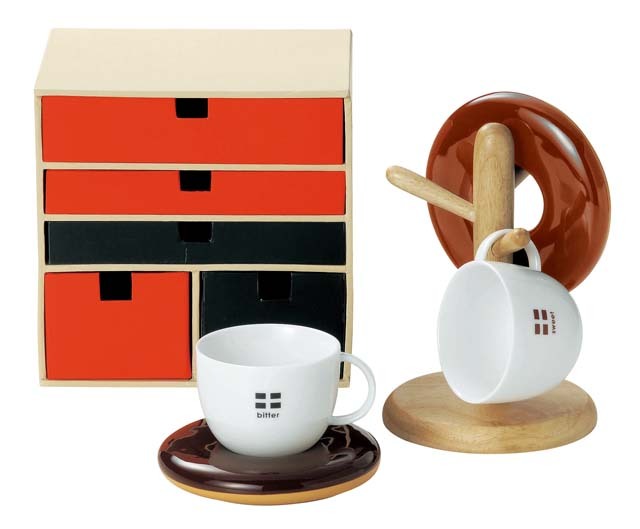 The set comes with a wooden stand and a cute paper box (see photo). Ideal item for gifts!